Discussion in 'Online Games - News and Reviews' started by Marina, Jan 27, 2015. When winter sets in, it’s beautiful. The snow falls, and the earth looks crisp and clean. There are snowmen guarding lawns, children outside playing and there’s holiday music in the air. consider taking a mini-vacation with one of these five slots. but it’s on par with the RTP of other high-quality video slots, and the jackpot is a hearty 10,000 coins. scatter icon and can help activate the bonus round. The game has 5 reels, 30 paylines and an RTP of just over 94-percent. they included “cloning wilds” in, so if you’re super lucky, the girls will duplicate themselves across your games. 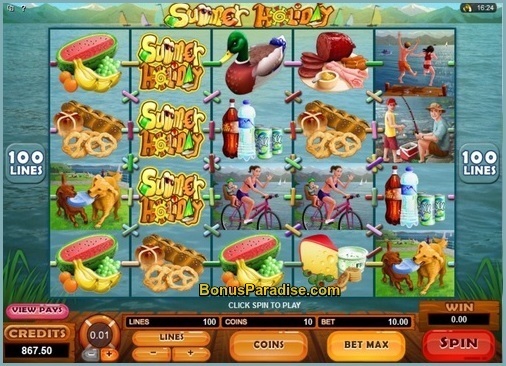 It also has free spins, a bonus game, and an RTP of 95-percent. overtly exciting about the game, but it’s pleasant and the controls are easy to use. free spins, you’ll have the option to respin them all, take what you’ve won, or trade them in for a mystery prize. Sadly, none of these games will actually bring warmer weather your way. However, they do allow you to take a short vacation from it all, or at least warm you up in one way or the other. made by a different well-known casino games software developer, so you’re likely to find at least one of them available at your favorite online casino, no matter where they get their games. 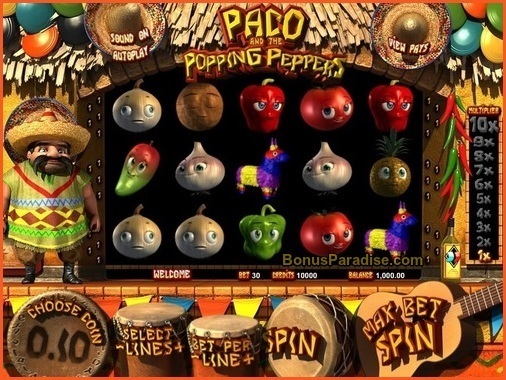 OMG Paco and the Popping Peppers is sooo much fun! Give this one a try, you'll love it.